Definition at line 727 of file Record.h. Definition at line 729 of file Record.h. Definition at line 736 of file Record.h. 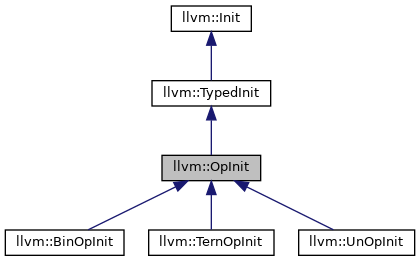 Implemented in llvm::TernOpInit, llvm::BinOpInit, and llvm::UnOpInit. Definition at line 680 of file Record.cpp.